Muong Thanh Can Tho Hotel is considered the first 5 star hotels in Can Tho City. It belongs to Muong Thanh Group. 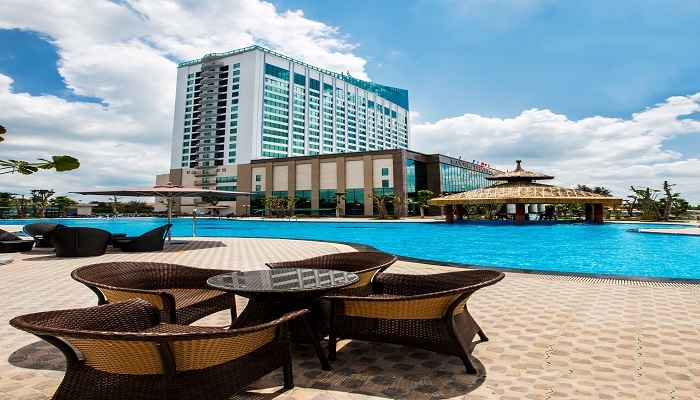 Muong Thanh Can Tho Hotel is new with the time of opening in 2015. The hotel has its ideal location in the center of the city and owns the modern architecture impressive. Total of room: 300 rooms in which there are 5 room types. They are Deluxe, Junior Deluxe, Executive Suite, Royal Suite and Presidential Suite. Room features: modern equipment in luxury standard, internet in room, daily English newspaper, mini-bar, bathtub and some other features that offered by the room type specifically.